LEGO Creativity Tour [photos] + 2016 KidsFest Tour Dates! Our family was provided with tickets to the LEGO Creativity Tour to facilitate this post. Opinions are my own. 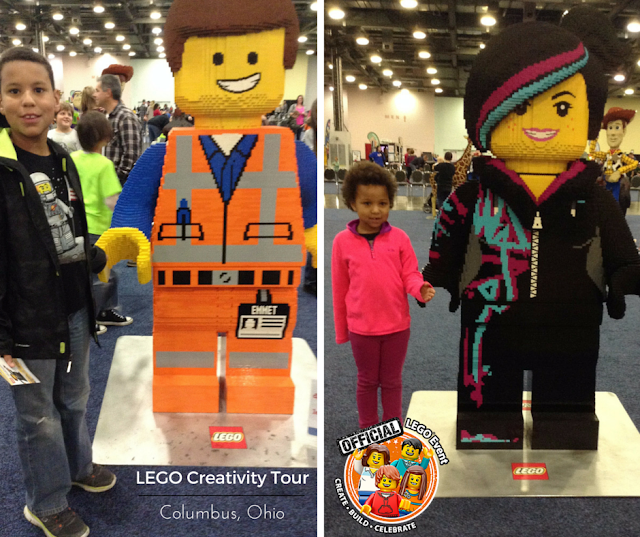 For three days, LEGO Creativity Tour made its last stop in Columbus, Ohio and we were there! This event was huge and had so many fun interactive, creative, and educational activities. There was something for every LEGO builder to do and build from the novice to the master and for every age. No one could resist the LEGO & DUPLO® Construction Zones with piles of bricks to build anything that you could imagine. Everyone, even parents, got on the floor and were knee deep in LEGOS. Attendees could also participate in build challenges and there were group build sites throughout the event space. Finally, there were the most amazing large-scale and miniature LEGO models on display featuring MARVEL Superheroes, Disney princesses, the cast of The LEGO Movie, and so much more! Where will you be attending LEGO KidsFest?